Debbie moved to Gaylord shortly after graduating from Cadillac high School. Upon completion of the Dental Hygiene program at Ferris State University in 1988, she returned to Gaylord and started her dental hygiene career. Debbie has been employed with this practice since 1993. She is married with one daughter and enjoys camping and boating. 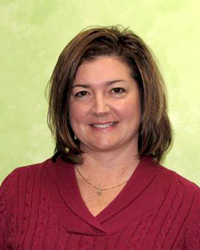 Mary is a Registered Dental Hygienist obtaining her degree from Ferris State University. She has been with the practice since 1988. She grew up in Gaylord and now lives with her husband Kevin and their two children, Drew and Sarah. She enjoys the Gaylord summers and "following" her children in all their activities. Jessica moved to Gaylord from Plymouth Michigan in 1996. She has been spending her Summers in the area since childhood and decided to make it home. She has 17 years of experience in the dental field with emphasis in General Dentistry as well as oral Surgery and Pediatric Dentistry. She joined the Moylan family team in the fall of 2013. Enjoys the northern Michigan summer and all it has to offer. Wendy moved to Gaylord from Florida and joined our practice in 2003. Wendy is married with one daughter and lives outside of Boyne City. She enjoys camping, snowmobiles, motorcycle riding, and being outdoors. Deborah has lived in Gaylord since 2002. She moved here from her home state of Kentucky. She has been a medical receptionist since 2001along with a customer service consultant for an internet based company. Married since 1995 to Keith, they have 2 daughters. Their family loves to camp and travel.